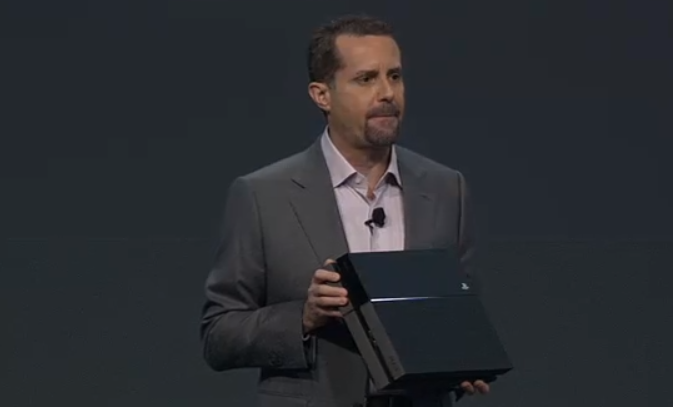 Sony finally unveiled the PS4 to consumers at E3 on Monday night. While Microsoft got all the press on Monday morning for announcing the availability of its upcoming Xbox One console, Sony finished the day at E3 with a huge middle-finger to Microsoft, confirming it won’t stop you from selling, buying or giving away your used games (at least the ones on disc). “You can trade them in, sell them to retail, lend them out to friends or keep them forever,” Sony announced to a huge roar of applause from the audience. Joking aside, we’re assuming that this only applies to disc-based games and not to games downloaded from PlayStation’s online store. Historically, the reselling of disc-based games has been justified under the doctrine of First Sale, which basically allows the purchaser of a copyrighted item the ability to dispose of it how she pleases; while the downloading of content (including movies, music, and eBooks) is often viewed not as a “purchase,” but as a license the terms of which the user must agree to. The company also took another potshot at the Xbox One by stating that the PS4 will not need to be connected online if you want to play a disc-based game. These statements are all directly targeted at Microsoft, which has said that Xbox One users will only be allowed to sell games if the game publisher says so, and only to participating retailers (a phrase it still hasn’t explained). Xbox One users are also severely limited on who they can give games away to. Additionally, even if the Xbox One user is not accessing any of the console’s online functions, Microsoft has said it will require the user to periodically go online (as frequently as once a day, per some reports) in order to authenticate. In a final kick in the pants to Microsoft, Sony says the price of the PS4 will be $399, that’s a full $100 less than the price announced today for the Xbox One. No specific release date, other than this holiday season, was given for the new console.